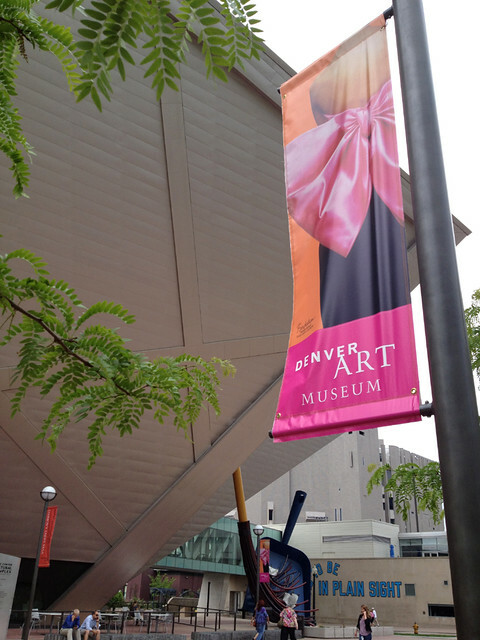 Now through July 8, 2012, there is a gorgeous exhibit on view at The Denver Art Museum: The Yves Saint Laurent Retrospective. Over two hundred haute couture garments are on display- a collection of work that spans the designer's forty year career in high fashion. Seeing this abundant collection of high fashion is truly inspiring. I was amazed at how luxurious the fabrics and trimmings of the garments were, and the extraordinary meticulousness of their construction. 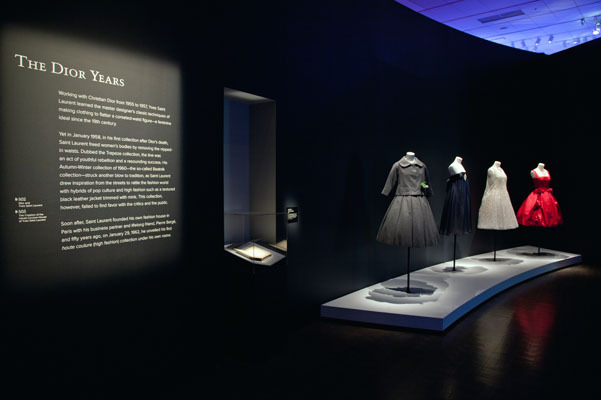 The exhibit has been painstakingly organized and beautifully presented by curator Florence Muller and exhibition designer Nathalie Criniere, in collaboration with the Fondation Pierre Berge-Yves Saint Laurent. They have allowed visitors to be transported into the studio and onto the runway of one of the world's most influential fashion designers. Yves Saint Laurent was born in Algeria in 1936 and moved to Paris at the age of 18, where he enrolled at the Chambre Syndicale de la Haute Couture. What is immediately fascinating about this man's life is how quickly he gained attention for his fashion designs and embarked upon an extraordinary career. Winning a student design contest facilitated meeting the editor of French Vogue, who quickly introduced him to Christian Dior, who hired Saint Laurent on the spot. At 18, Yves Saint Laurent was already working at one of the biggest fashion houses in Paris. In 1957, Christian Dior passed away, but had already chosen Saint Laurent to be his successor. At 21, Yves Saint Laurent became the head fashion designer for the Christian Dior label. Though his first collections were greeted with praise, and saved the Dior business from financial disaster, his subsequent collections were ill-received. There is controversy over the fact that Saint Laurent was conscripted in 1960 by the French Army for the Algerian War for Independence, which allowed the owner of the House of Dior to fire and replace him. 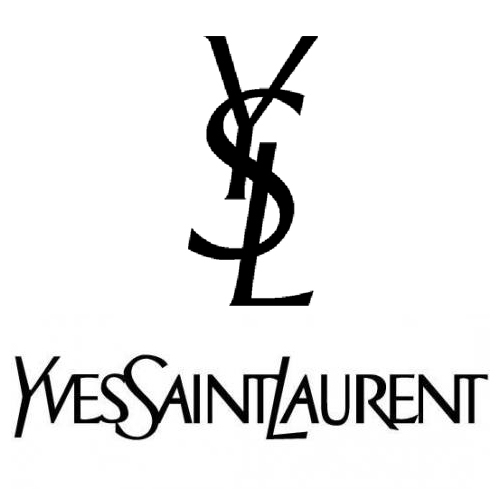 On January 29, 1962, after great luck acquiring investors from America, Yves Saint Laurent and Pierre Berge opened their own luxury fashion house. 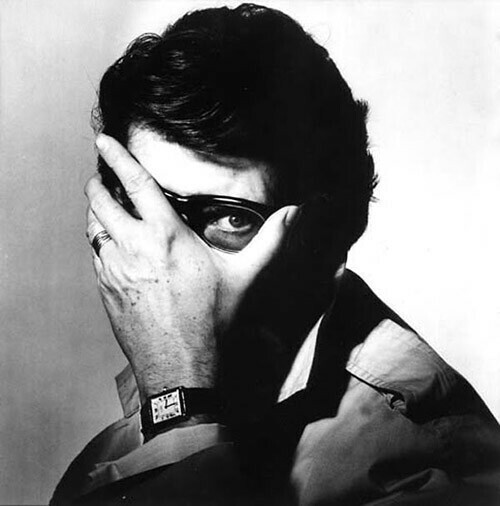 The first collection was a huge success, and Yves Saint Laurent began to revolutionize fashion under his own moniker. He brought the Pea Coat, Safari Jacket, Tunic, Pant Suit, Jump Suit and Tuxedo to women's high fashion. He was also the first designer to use models of all ethnicities on the runway. Yves Saint Laurent was also a great lover of the arts, and with his partner Pierre Berge, created one of the most impressive collections of painting and sculpture of this century. Picasso, Braque, Matisse, Warhol, Brancusi, Ingres, and Modrian, were just a few of the important artists he collected. 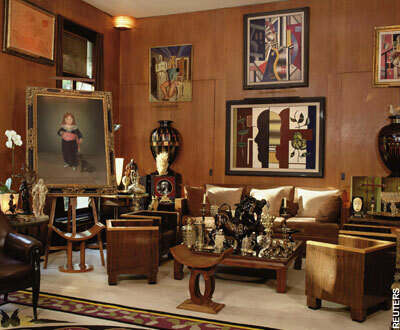 After his death in 2008, Berge organized the sale of their collection through Christie's, a sale which brought in over $264 million dollars on the first night alone. 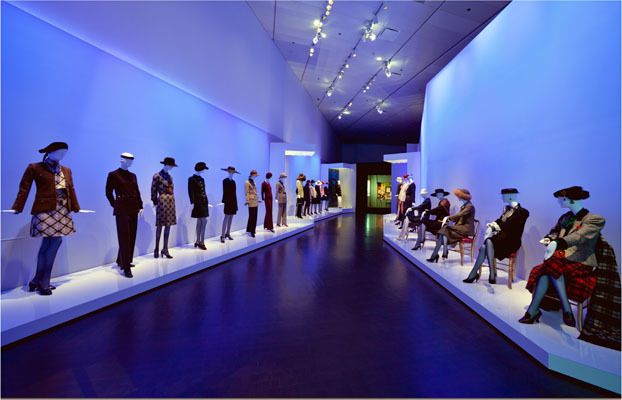 A true icon of the 20th and 21st centuries, Mr. Saint Laurent's Retrospective at the Denver Art Museum should not be missed! Wow! You have done a fantastic job with this post. And the displays - they are literally a work of art in and of themselves. I have never been terribly interested in haute couture but these displays take my breath away. I imagine you will be returning again. Wish Denver was not a full two long days of driving. You are very welcome, Pam! I am so glad you enjoyed the post. Haute Couture is definitely something that is out of reach for many of us, but seeing it in person like this enables us to appreciate it a bit more!